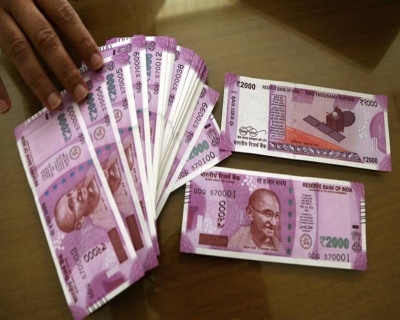 The use of Devnagari numerals on the new Rs 500 and Rs 2,000 notes that were introduced overnight on November 10 has triggered controversy around the government trying to slyly impose one culture over all others. This could reignite the language debate that has threatened the diversity of India since the 1930s. 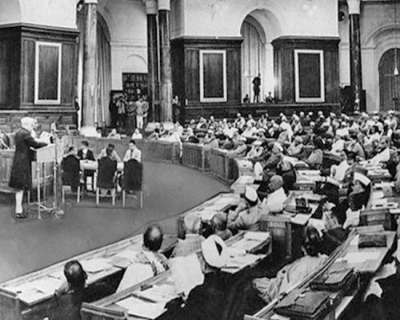 Knappily revisits the historical debate and examines the merits of using English to keep India united. What does the new currency look like? 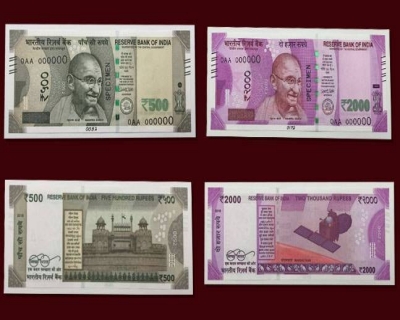 The new notes have entered circulation from November 10. The Reserve Bank of India (RBI) revealed the new denomination on November 8, and this series of notes have a completely new design. The notes are being published at Mysuru, Karnataka. The new notes are of the size 66mm X 166mm, smaller than the old notes, and are available in a magenta base colour. To celebrate India's Mars mission, the notes carry an image of the Mangalyaan, depicting the country's first venture into interplanetary space, and the logo and the tagline of the Swachh Bharat Abhiyan. The denominational numeral 2,000 is written in the Devnagari script and, in micro letters, RBI and 2,000 on the left side of the banknote. There is a windowed security thread with the inscriptions ‘Bharat’ (in Devnagari), RBI and 2,000 on banknotes with colour shift. The colour of the thread changes from green to blue when the note is tilted. 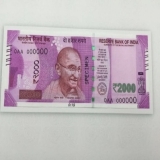 The security features of the Rs 2,000 note include latent images, coloured strip security threads and watermarks. There is the Ashoka pillar emblem to the right of Mahatma Gandhi’s portrait and electrotype (2000) watermarks. It also has seven bleed lines and a rectangle as an identifying shape; as per the RBI guidelines, these are the identification and salient features for the visually impaired. The new 500-rupee note is 66mm x150mm in size and stone grey in color. On the back side of the note, an image of the Red Fort with Indian flag has been placed. Other features include intaglio printing of Mahatma Gandhi portrait, Ashoka Pillar emblem, bleed lines, and the identification mark to enable the visually impaired person to identify the denomination. Why can the new note revive the old language debate? A particular feature of the new notes is the use of Devnagari numerals on them. While this may seem like a minor change in the design of the currency notes, there are significantly larger issues at stake here. 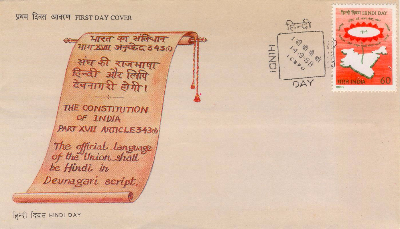 According to Article 343 of the constitution, “the form of numerals to be used for the official purposes of the Union shall be the international form of Indian numerals”, along with the provision that a presidential order could be issued to allow the use of Devnagari numerals in addition to the international ones for a period of 15 years starting from the commencement of the constitution. The Parliamentary Committee on Official Language (headed by G.B. Pant), which was constituted in 1957, submitted recommendations on “the form of numerals to be used for any one or more specified purposes of the Union,” which formed the basis for the Presidential Order of 1960. Clearly, the order limits the proposed use of Devnagari numerals by central ministries to Hindi publications if there is a need for it. 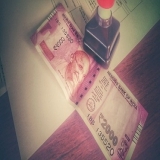 It is unclear why the government changed what was clearly a robust and established policy that adhered to the Constitution by including Devnagari numerals in the new notes. This may be seen as a way to fulfill the current government’s objective of widespread use of Hindi. Note: The Devnagari script has roots in the ancient Brahmi script family. 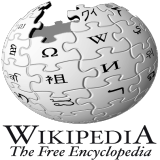 It got developed during the 1st to 4th century CE. The script was in regular use by the 7th century CE and it was fully developed by about the end of first millennium. The use of Sanskrit in Nagari script in medieval India is attested by numerous pillar and cave temple inscriptions, including the 11th-century Udayagiri inscriptions in Madhya Pradesh. When does this issue appear unresolved? Granville Austin, an American historian and a leading authority on the Indian Constitution, once described the form of numerals to be used (whether to use Nagari numerals or the Arabic numerals) as “the sorest point” of the language debate. 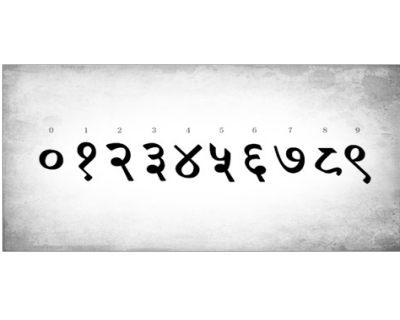 Internationally also known as the Hindu-Arabic numerals, the final terminology that was agreed upon in the constitution was the ‘international form of Indian numerals’, thus showing some cognizance of the Indian origin of the ‘international’ numerals. After some concerns were raised by a few south Indian members of the Assembly – notably T. A. Ramalinga Chettiar – about the Hindi connection of the Devanagari numerals, there emerged a fair consensus that it would just be more practical to use the international form, especially in the fields of banking and science and for other technical purposes. Accordingly Article 343 was enshrined in the constitution. The Presidential Order of 1960 further provided details of places of use of ‘Nagari numerals’ and ‘international numerals’. But the Official Languages Act of 1963, which effectively extended the status of English as an official language indefinitely beyond the 15 years stipulated in the constitution, has nothing to say about numerals. As no law has yet dealt with this issue, the constitutional provisions and those of the 1960 presidential order stand. It also indicates that the issue hasn’t been resolved in a definitive way which was supposed to be done through an appropriate legislation acceptable to all quarters of India. Note: The new currency notes have the international forum of numerals too, in addition to the Devnagri numerals. Where are the roots of the larger language debate of India? Who said what during the discussions on India's official language? "People who do not know Hindustani have no right to stay in India. People who are present in the House to fashion a constitution for India and do not know Hindustani are not worthy to be members of this assembly. They had better leave." "If we had to accept the principle of numerical superiority while selecting our national bird, the choice would have fallen not on the peacock but on the common crow." How does English provide a safe haven to accommodate India’s diversity? Even though the idea of a standard national language is not new and has been toyed with by several countries in the past, India’s lack of homogeneity in this regard has been its greatest achievement. The modern secular Indian Constitution incorporated all ethnicities, to the extent that it identifies and recognizes 22 different languages in order to represent all Indians. B.R. Ambedkar, the architect of the Constitution, was focused on achieving equality for all cultures among a diverse citizenry. Switzerland offers an interesting example to illustrate how English was used to ensure unity in diversity. In Switzerland, English is widely used by advertisers to standardize communication because the country’s Italian, French and German speakers are too proud to speak each other’s languages. Apparently, the only language effective in communicating to such a diverse audience is the one that is native to none. 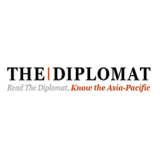 India has the same constraint and the same opportunity. English is probably the only language that has no particular association with any particular community yet is widely spoken (or aspired to be spoken). In fact, India today has the second largest English-speaking population in the world (behind the US) and the country’s economic rise is largely because of this language. 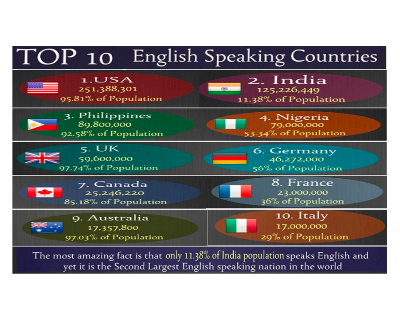 So much has been achieved even though hardly 11 per cent of India is conversant in English. As India indulges itself in globalization, the rise of English is inevitable. 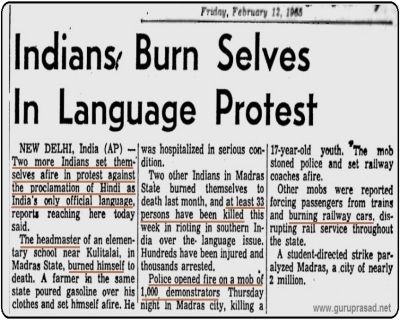 It is time leaders in India stop trying to standardize one Indian language which might seem like an imposition to non-speakers of that language, and instead focus on easing the communication between the diverse communities and regions in a language that is native to none. The idea is not to take away the peculiar cultural diversity of India but to create a system where every Indian is on an equal footing through ease of communication.